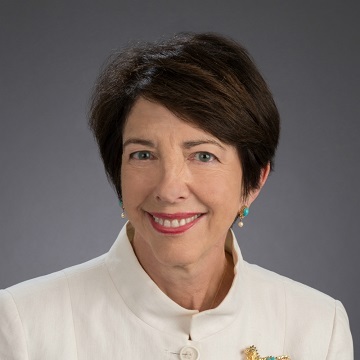 Susan Shirk is research professor and chair of the 21st Century China Center at the School. She is one of the most influential experts working on U.S.-China relations and Chinese politics. Shirk’s book “China: Fragile Superpower” helped frame the policy debate on China in the U.S. and other countries. Her articles have appeared in leading academic publications in the fields of political science, international relations and China studies, and her views on a range of issues relating to modern Chinese politics are highly sought. She previously served as deputy assistant secretary of state (1997-2000), responsible for U.S. policy toward China, Taiwan, Hong Kong and Mongolia and she founded and continues to lead the Northeast Asia Cooperation Dialogue, an unofficial forum for discussions of security issues. Director emeritus and advisory board chair of the University of California Institute on Global Conflict and Cooperation, Shirk served as a member of the U.S. Defense Policy board, the board of governors for the East-West Center (Hawaii), the board of trustees of the U.S.-Japan Foundation and the board of directors of the National Committee on United States-China Relations.